If you want to study art, or an art and design related programme such as animation, in the UK, then you will likely need to submit a portfolio of work showcasing your creative, technical and professional ability during the application phase. 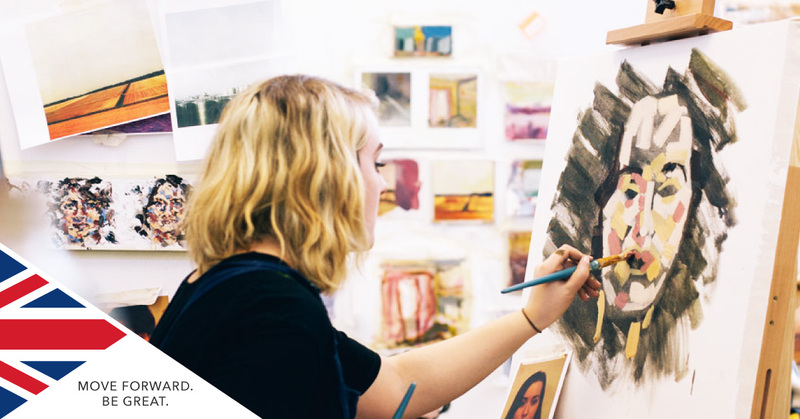 For 2019, UCAS has removed the annual March deadline for art and design students, meaning you will need to have your application and portfolio of work ready by January 15th. Learn more about what to include in your portfolio of creative work below, and don't forget SI-UK's international team of education consultants - as well as the International School of Creative Arts - can help guide you through each stage of preparing your portfolio. Arrange a free consultation today. What do I need to include in my Art and Design portfolio? The key to a successful art and design application is your portfolio, showcasing your creativity, imagination and technical ability. It should consist of no more than 30 high quality images or pieces of work, including sketches and drafts to show how ideas have developed. Art schools and universities want to see how skilled of an artist you are, how you can apply that talent to different aspects of art and if you have a unique style. Don’t worry if you don’t think you don’t have all these skills, but do attempt to showcase a broad sense of your personality and ability. How should I present my Art and Design portfolio? What courses require a portfolio? A portfolio can come in many shapes and sizes. Practical subjects such as architecture, art and photography will require images you have worked on to be included, while film courses will require digital files of your work. Similarly, more theory based topics will need evidence of your writing ability. If you have yet to finish your art school application, the SI-UK Art and Design Service offers art and design portfolio review and preparation sessions led by Colin Kerrigan, the Executive Director at International School of Creative Arts. These sessions provide a unique opportunity for international students to gain expert practical advice and support from a former Deputy Director of UAL and practising artist, who has exhibited sculptures in the UK and internationally. If you want to study art in the UK, at undergraduate or postgraduate level, arrange a free consultation in Abuja or Lagos.